We are aware of the fact that whenever we buy a television or any other gadget we are given a warranty from the manufacture’s side. 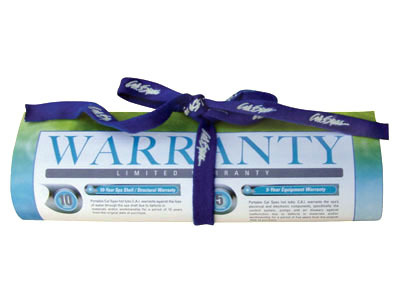 This warranty lasts for a limited period of time. If we wish we can extend the warranty period. For this we can buy an extended warranty provided by the dealer or from the company which gives such extended warranty for that or any other product. The steps involving for purchase of an extended guarantee of a television are given below. The first step is to calculate the time period for which we are going to use the new television. We must make sure that whether we are going to buy a new model replacing the existing one or we are going to use the same one. Before buying the extending warranty we must make sure for how long we are going to use the television. The price of the extended warranty depends on the time period for which the warranty covers. The next step is to find for the company which sells the extended warranty. When we buy a product in the shops the sales person would usually ask us about buying an extended guarantee. In case if we don’t find anyone who offers an extended warranty we must look for the company which provides us this offer. For this we can look up on the advertisements and also on the websites. Amazon.com is a website which offers this service. After finding a company we must be sure about its location that in case if we need any service they must be readily available near buy and also they must be ready to check in case of any trouble. We must learn the warranty offer clearly before buying the television set. We can ask the sales man to explain about the offer that the company provides. We must be prepared to ask to them about their service in case in future if something happens to the television. We must ask about the manufacture’s defect. We must make sure that it is included in the guarantee. We must also be aware of the fact that the in case we are responsible for any defect due to our rough handling our warranty is negligible. We must also consider about the companies credibility that offers extended guarantee. We must try to talk to people who have already purchased products from that company. For this purpose we can make use of the forum sites where many comments about a particular product and company are posted. In case we don’t find any worth able information or the company has a bad impression then we must avoid transaction with that company. We must evaluate the discussion we made with the salesperson. We must find out whether there are any offers better than this company’s offer. Since we are spending money we must not limit ourselves to just a single company. We must find the options provided by many companies and compare them and then choose the most apt able one. After calculating all the options and our budget towards our purchase we must pick up a warranty which might help us in future. A warranty is an option provided by the manufacturer towards the problems which exists in the television and comes into picture only in the near future. An extended guarantee is for people who treat their purchased product as a treasure and who are not already interested in buying a new product. But these days people are every eager towards buying the updated model of their equipment. The latest technological development has led to a world where before we participate in buying a product an updated version of it is launched in the sales market. Hence we must make sure before buying that the warranty we buy best suits our requirement.